ORLANDO, FLORIDA-Maybe the SEO team hit a wall or rankings tanked overnight or there are nagging questions about online reputation management. Whatever the problem is, an SEO consultant is often the solution. Consulting is one of the three types of SEO services Millionairium offers. It is ideal for businesses that need a fresh, professional perspective of their website, SEO techniques, ranking trends and SEO team. A consultant can also help locate, hire and set up an in-house SEO team. Consulting is often confused with SEO coaching services, but it is a slightly different. That is geared more toward assisting businesses that are just starting work on their sites and want to be trained in SEO techniques or need help drawing up a strategy for an effective SEO campaign. Tim Booth and Shawn Sandifer, the founders of a referral site for local contractors across the nation, hired Millionairium as consultants in December 2011 to help resolve problems with their SEO rankings. The pair had doubts about their in-house SEO team since the traffic to their site had dropped off drastically. Five months prior to contacting Millionairium , the website had 140,000 visitors per month. By December, they were down to 90,000 per month. Husayni and his SEO team stepped in to do an in-depth analysis of their current SEO work. The report showed Booth and Sandifer that their site was lacking credible link popularity, an essential part of ranking well in Google’s search engine results. It also revealed that their SEO team had been using black-hat SEO techniques like keyword-stuffing and duplicate content. “Black-hat SEO techniques are methods used to get sites quick results, but it is merely short-lived success and detrimental to the site in the long run,” says Husayni, who is the author of a Google SEO eBook of tips and techniques that comply with Google webmaster guidelines. After getting the news about their website, Booth and Sandifer decided to fire the in-house SEO team and outsource to Millionairium. The site’s traffic is back up to where it was at its peak and still climbing. Sandifer, who is the president, is relieved to see an upward trend and feels optimistic about the future. “This means we can finally begin to plan for the future and growth of our company and stop trying to figure out how to dig ourselves out of the hole we were in,” he says. Booth and Sandifer’s story is just one example of how consulting services can be used. They are a valuable resource for businesses to draw on at any stage in their SEO campaigns, whether they need help pushing through a rankings plateau, solving complex SEO problems or using Facebook, YouTube or Twitter to enhance their Web marketing SEO efforts. © 2012 Millionairium. Authorization to post is granted, with the stipulation that Millionairium is credited as sole source. Linking to other sites from this press release is strictly prohibited, with the exception of herein embedded links. I\’m trying to find out if it\’s a problem on my end or if it\’s the blog. @Trungtamgiasu One of our SEO analysts would be able to best answer your question. You can schedule a free consultation with one by filling out the inquiry form on the home page with your name, website and keywords. I have a site with key word \”trung tam gia su\”. 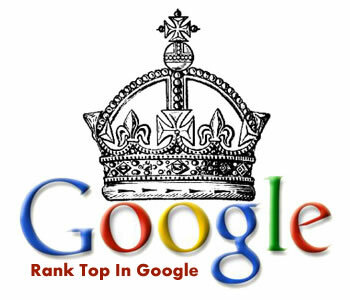 However, I have been going SEO for my webiste 2 years, And now it is only i the top 2 google.com.vn. May I increase my positon! Thanks in advance! Very informative post, I didn\’t know the exact difference between SEO and SEO consulting.